Last weekend, 11 & 12 July, my husband Jamie and I visited my cousin and fellow artist, Tracey Scheitel, and her husband Toby where they live at Wyongah on the NSW Central Coast. We had a very productive time discussing what Tracey and I are both currently working on for our upcoming joint exhibition, titled LIQUID LIFE, and what we need to do over the next 7 weeks. Many of Tracey’s works are quite large and therefore not able to be scanned on a flatbed scanner so Jamie took his camera and tripod so he could photograph all the work Tracey has completed so far. 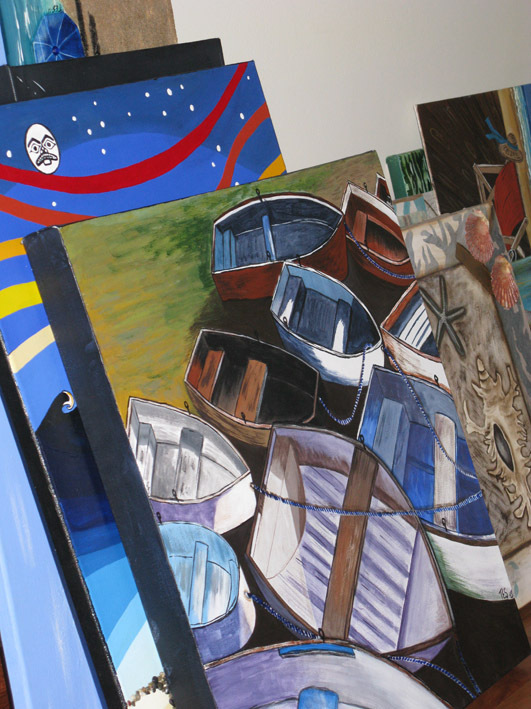 While our styles, mediums and ways of working are very different, we have the common theme of ‘water’ for this exhibition so this could be anything at all from a beach scene through to a cup of tea! Water is everywhere in our lives and virtually in everything so plenty of subjects to choose from and be inspired by. 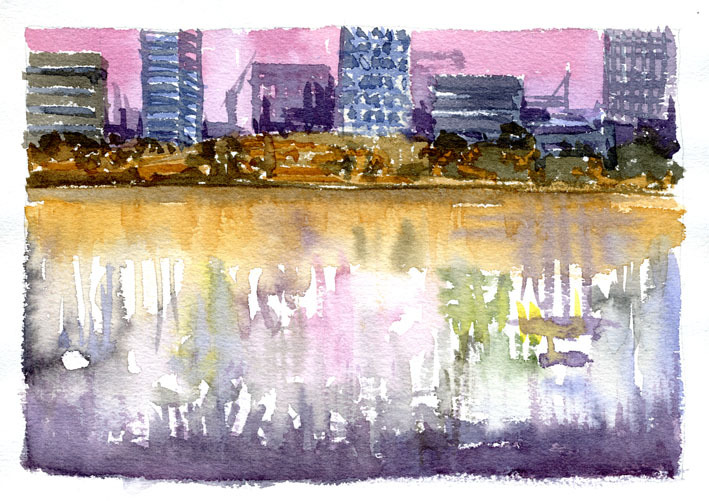 Here is one of my watercolours, River Reflections, that I will be showing in the LIQUID LIFE exhibition at Shorethyme. 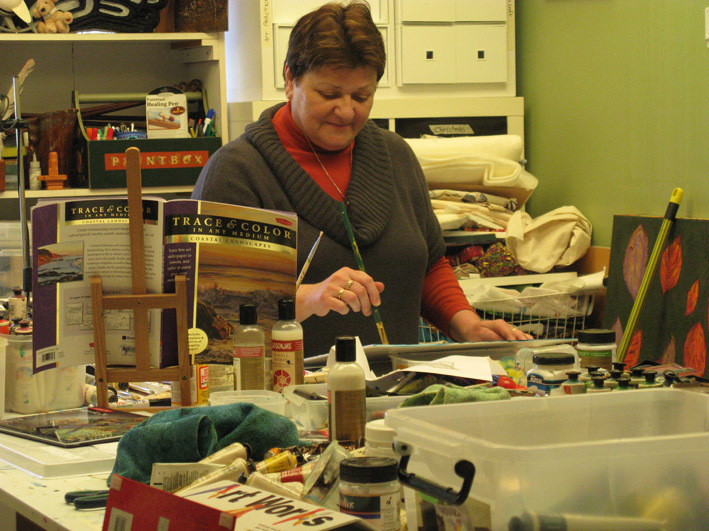 Here is Tracey working in her wonderful, large studio space at her home in Wyongah, and below, some of her work that Jamie photographed over the weekend that she will be showing in our LIQUID LIFE exhibition.